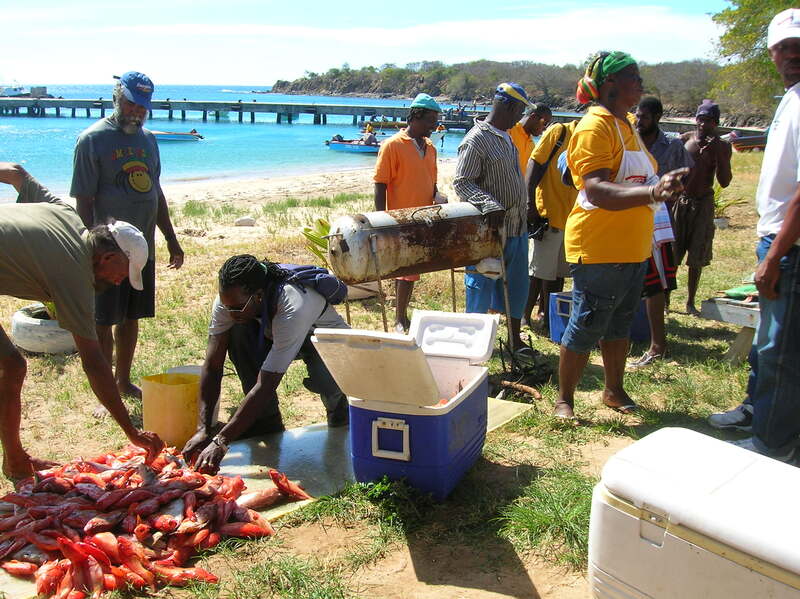 With a surface area of only 4 km (1.5 square miles) Mayreau is the smallest of the inhabited Grenadines. The island has a population of about 250 in the village on the highest hill, “Station Hill”, of the island. 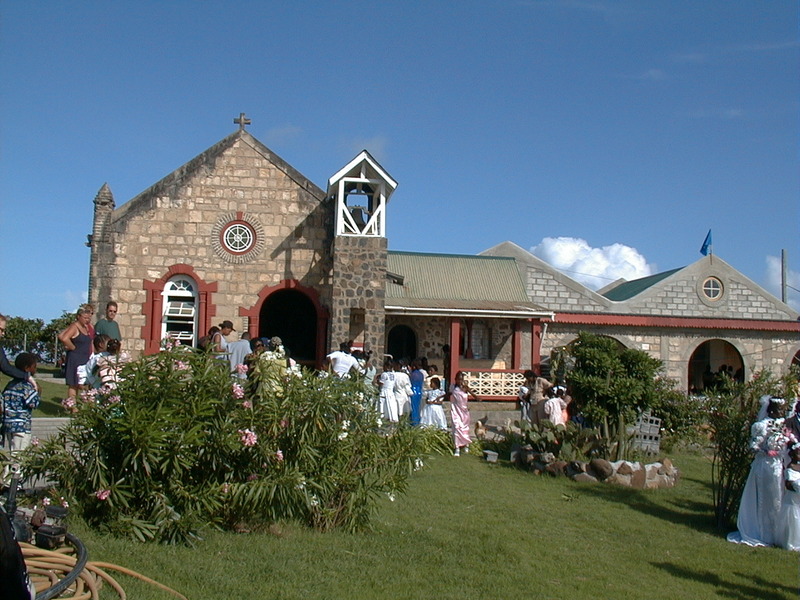 From the top of the hill where the charming little church and community center are located you have a spectacular view over the islands, on clear days you can see both Grenada and St. Vincent! 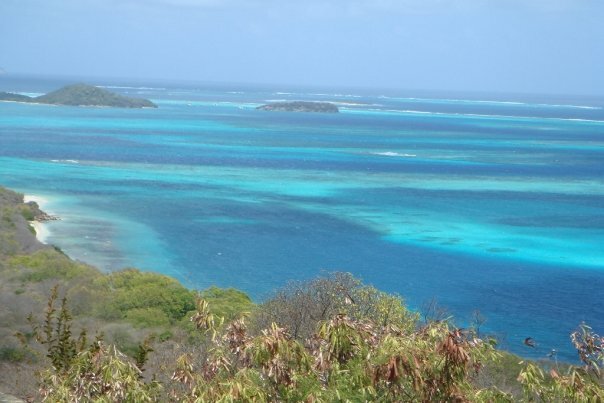 And of course the nearby islands, including the pretty colors of the reefs and waters around the Tobago Cays. If you love beaches, this island is the place to be! 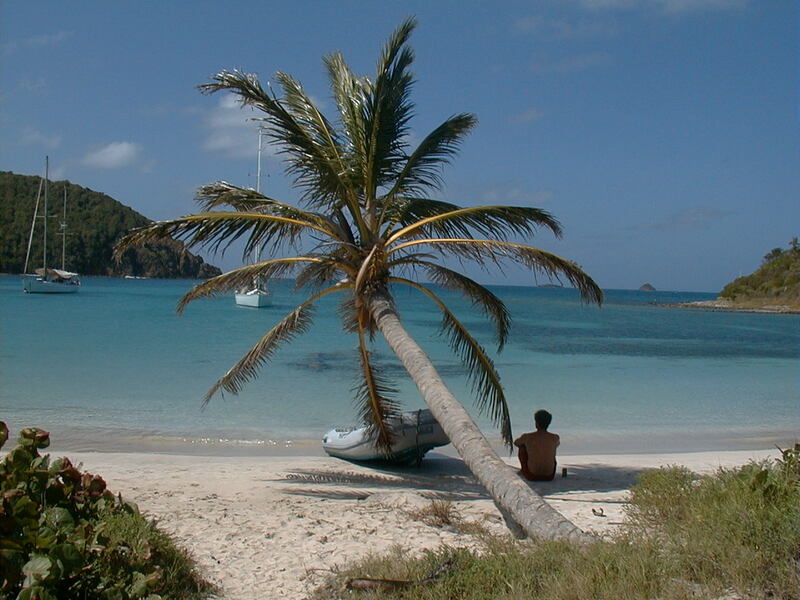 On the Northern leeward coast is the prettiest bay and beach of the Grenadines, Salt Whistle Bay. This is a perfect half moon beach, fringed by palm trees, with a little sand spit about 50 yards wide separating the rougher Atlantic side from the calm Caribbean side. The bay is very popular among yachts that want to be anchored in this spectacular Caribbean scenery. 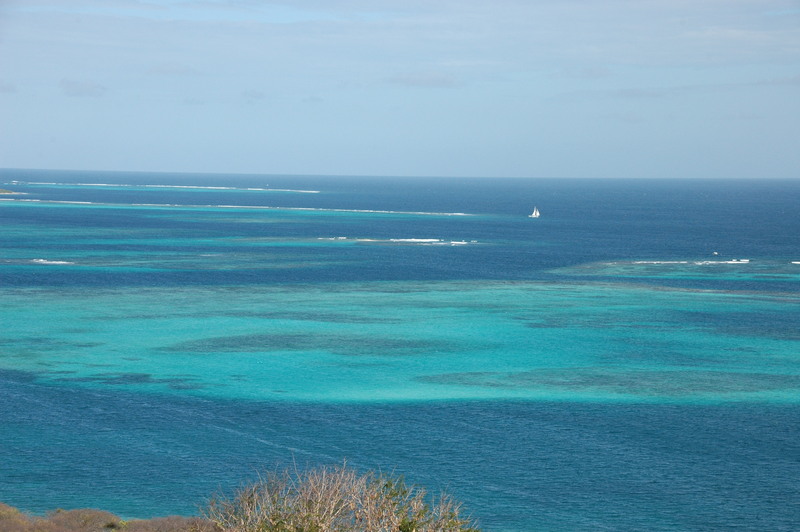 Salt Whistle Bay is now part of the Tobago Cays Marine Park, and they manage the mooring facilities here. In theory anchoring is not forbidden, but there is hardly room to swing on your own anchor. 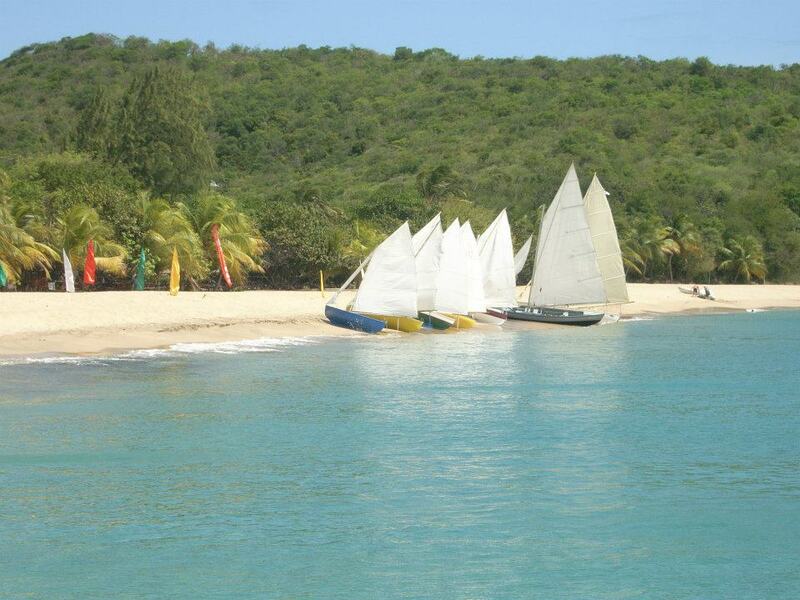 The windward side of Salt Whistle bay is good for kite surfing, just anchor the yacht in the calm leeward bay, take your stuff ashore and enjoy the Atlantic! 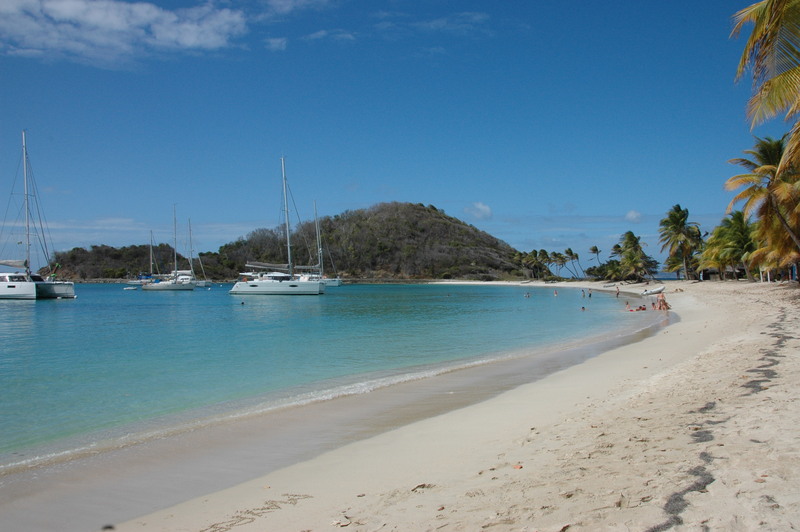 The Southern leeward beach is Saline Bay, which is the better and safer harbor for yachts when Salt Whistle Bay is full. This a huge white beach, normally calm waters, closer to the village. Sometimes a cruise ship is anchored just offshore, which turns the beach in a very busy place, I recommend that you don’t go there then but to one of the Windward beaches, miles of them and good snorkeling! Diving is excellent around Mayreau, there is a wreck in the calm waters off the leeward side, and a very large area of reefs at the windward side, the Mayreau Garden. Kitesurfing is good at the windward side of Salt Whistle Bay. Dive and kite schools are located in nearby Union Island.